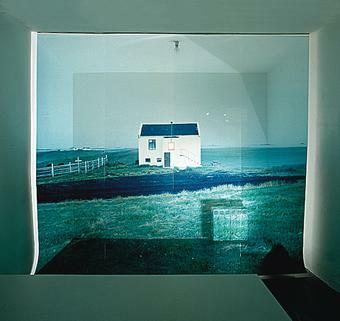 A transparent screen with a printed image is mounted in a gallery space. 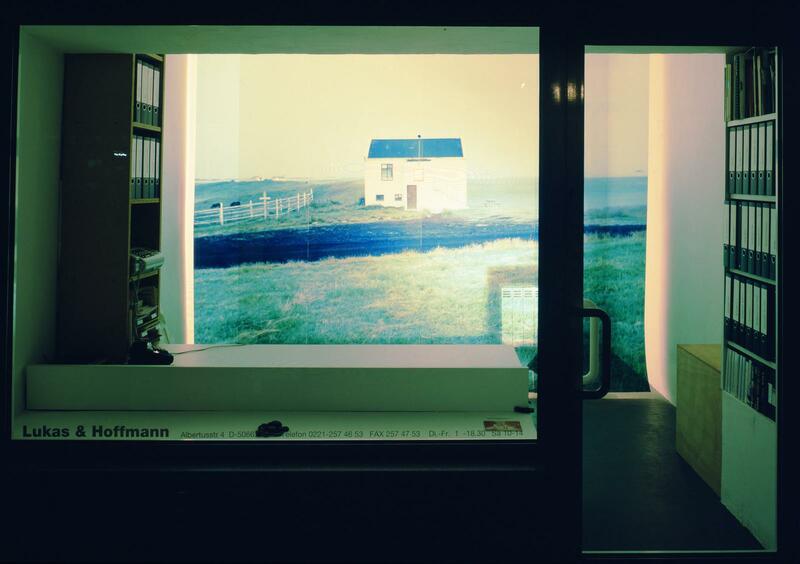 Extending from floor to ceiling and from wall to wall, it splits the room into two parts. 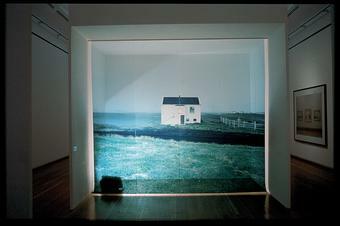 From behind, a floodlight illuminates the screen, turning the rear part of the gallery into a light box. 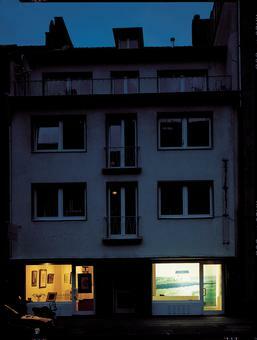 The image is visible only from the front of the gallery and from outside.